Brand Shamans are about healing & spreading love & kindness. Likewise, this forum is a happy place. Have fun. Be kind. This is a hate-free, spam-free zone. The Brand Shamans represent healing, love, & kindness. We created this forum as a happy place to represent those values. If you're looking for a fun-filled forum where you can relax and enjoy yourself without worrying about spam and hate speech, you just found it! Healing is one of the main elements that you will find present throughout our network of sites. We create everything with the intent of helping and healing others, whether it is an article for one of our journals, a social media post for one of our clients, a post within the Brand Shamans Forum, or a more personal customized healing talisman or piece of jewelry. Along with healing, you will see that everything the Brand Shamans do is rooted in love. We are a heart-focused company, with your personal healing in mind. When you are in the Brand Shamans Forum, you can expect nothing less than to be treated with love and care. In life and in our forum, we are all constantly on a personal healing journey together. When you are in the Brand Shamans Forum, you will be treated with the utmost respect and kindness is the only way! In this life, we are all on a mission to be our own personal best. Kindness is key, along with love and healing if we want to get there. In the Brand Shamans Forum, we are all kind to one another, treating everyone equally regardless of whether they are on the same belief or life path as us or not. Equality is one of the many causes we support and advocate for. Therefore, you will see that in the Brand Shamans Forum, we welcome people from all walks of life. We do not EVER allow discrimination based on gender, age, race, sexual identity, religion, or any other label. Hate speech is not tolerated and not a part of our mission to be kind to others while spreading love and healing together. While we do allow linking in certain areas and instances, the Brand Shamans Forum does not tolerate spam messages and these will be taken care of immediately. This is a place of sharing, laughter, love, and healing. This will often include sharing resources. However, this is not the place to initiate sales pitches. We want our members to feel welcome, rather than bombarded. We are full of kindness, love, and healing towards all. 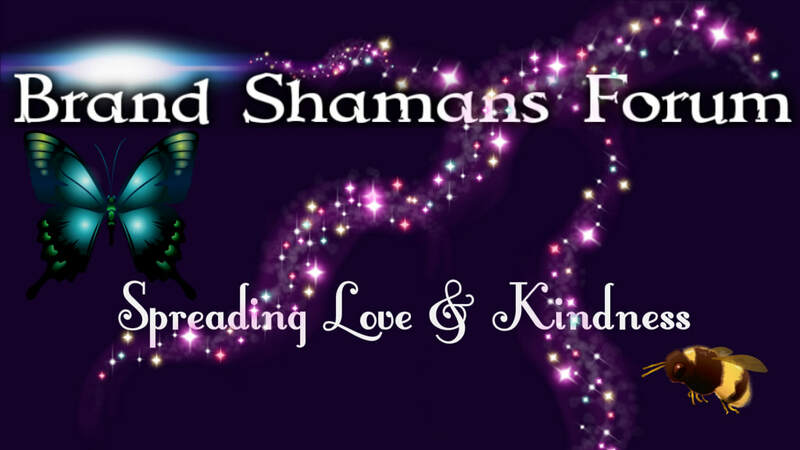 You can feel comfortable and welcome to join in, relax, and have fun at the Brand Shamans Forum. What are you waiting for? Your own personal journey awaits!